1875-1949. 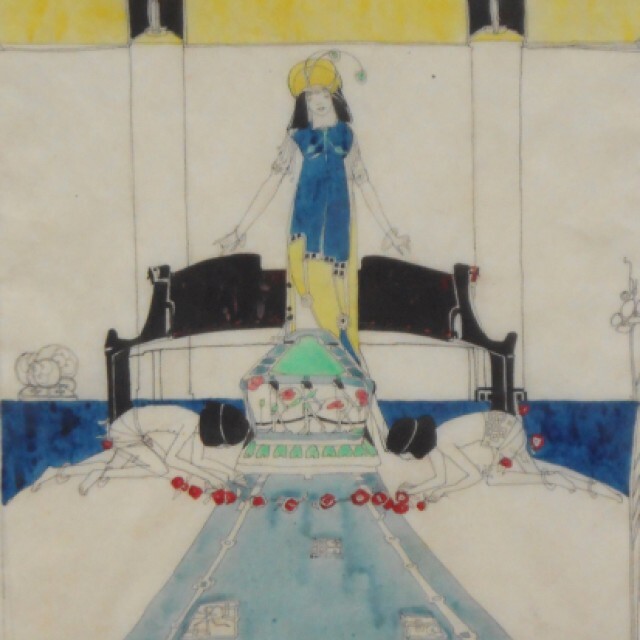 King was a Scottish artist known for her ink and watercolour designs for illustrations, jewellery, fabric and pottery. She trained at Glasgow School of Art, where she received a number of awards and was later made Tutor in Book Decoration & Design there in 1899. She was one of the Glasgow Girls along with Annie French, Bessie MacNicol, Jessie Newbery and others. She married the artist E A Taylor, and briefly lived in Paris, before returning to settle in Kirkcudbright.